NeighborhoodScout — the search site that promises to help buyers and renters “find the best neighborhoods” — has unveiled a search tool that makes it easier for users to zero in on neighborhoods based on not only local amenities but on existing residents’ ethnicity, wealth and background. The site’s new advanced search tool lets users search census tracts, which contain about 4,000 people on average, based on a wide array of criteria, including crime level, ethnic makeup, school quality, education level, income level, household type and unemployment rate. 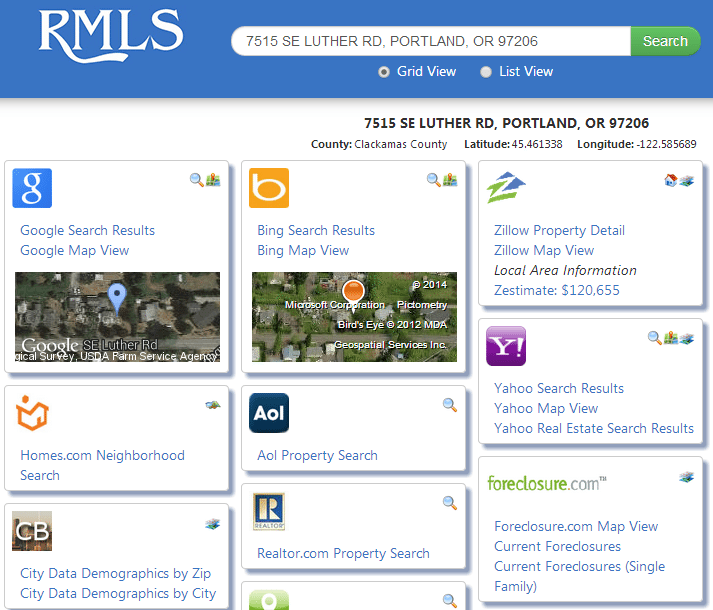 The new site feature offers a glimpse of some of the sophisticated search capability other real estate sites may roll out in the future. For now, it’s the only search tool that lets people generate neighborhood search results based on hyperlocal crime rates, ethnic makeup, languages spoken and income, among other criteria. And its debut comes amid a recent push to integrate more neighborhood data into the online listing search experience — a trend that could have consequences for neighborhoods. NeighborhoodScout feeds prescreened referrals from its site to partner brokers in exchange for 37.5 percent of the broker’s commission if the broker closes a sale with the referral. The site provides complementary information with its referrals, including the “exact type of neighborhood in your area in which the client wishes to buy or sell” and a profile of the property the referral wishes to buy or sell. Buyers and renters who want to use the site have to pay $39.99 a month (or $15.99 with a 12-month minimum commitment) to unlock some of the site’s richer data, including much of the search tool’s settings and a large swath of trend and community data that NeighborhoodScout introduced earlier this spring. Previously, NeighborhoodScout’s search tool allowed users to search based on lifestyle, crime level , school quality and home appreciation rates. The rest of the criteria are brand-new. In all, users may select up to a mind-numbing 150 criteria from among 350 to filter for desired communities within a specified region (users choose maximum distance to an address or city). 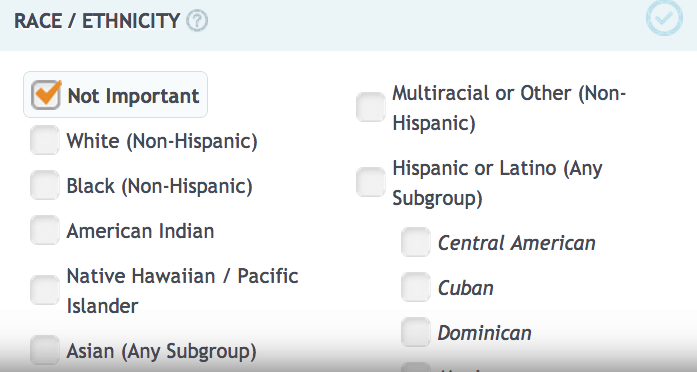 All users may play with 100 of these filters, but the other 250 — including attributes like crime level and ethnic makeup — are available only to paid subscribers. Needless to say, all of this allows visitors to conduct extremely precise searches. 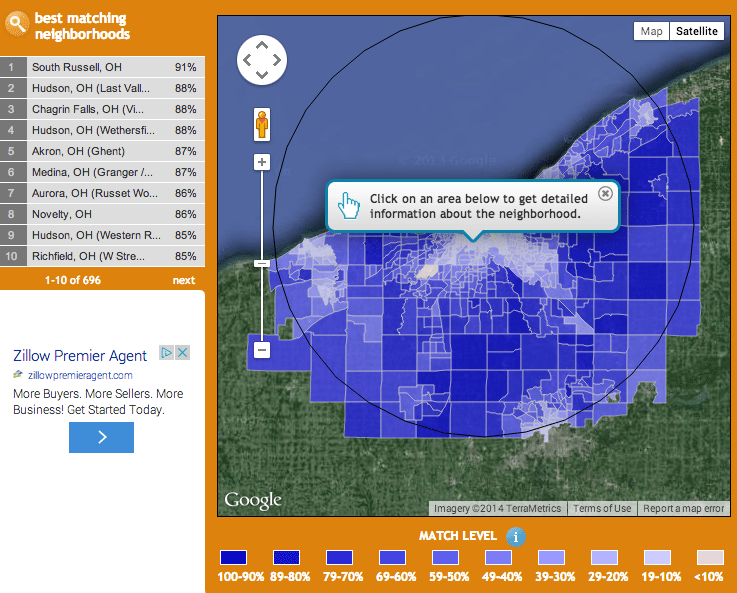 For example, a user could search for neighborhoods within 30 miles of Cleveland, Ohio, with high-quality schools, a low crime rate and low proportion of children in poverty, and a high proportion of white residents with college degrees who own homes with a median value between $301,000 and $400,000 and pay a real estate tax of between 0.91 percent and 1.2 percent. The tool would then return a rank-ordered list and custom heat map (shown above), with the darkest blue census tracts representing the closest matches to the user’s specifications. From the search results page, users may click on any neighborhood in the list or shown on the map to pull up an in-depth report on the neighborhood with a dashboard showing how well that neighborhood matches the user’s search criteria. The product’s debut follows a number of others that focus on neighborhood data, a result of a recent push to integrate hyperlocal information into the online real estate search experience. 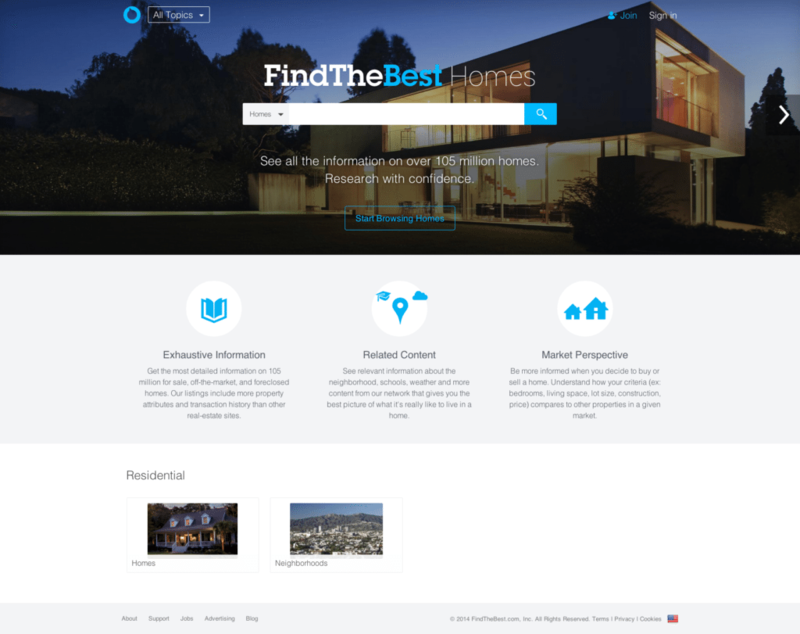 Listing site RealtyTrac and newly launched FindTheBest Homes, a vertical of research engine FindTheBest, are among sites that are mixing neighborhood characteristics with property details. Count Trulia among that lot as well. The portal tweaked its listing page design in April, placing a school quality indicator next to listing copy and adding four tiles on neighborhood characteristics, including one that generates a crime map centered on the property. Consumers will appreciate more data and tools that help them filter for listings based on the flavor of properties’ surroundings. But some observers say making it easy for people to search for homes based on neighborhood characteristics and tacking that data onto listings could also ultimately aggravate the social and economic divides that shape many neighborhoods. 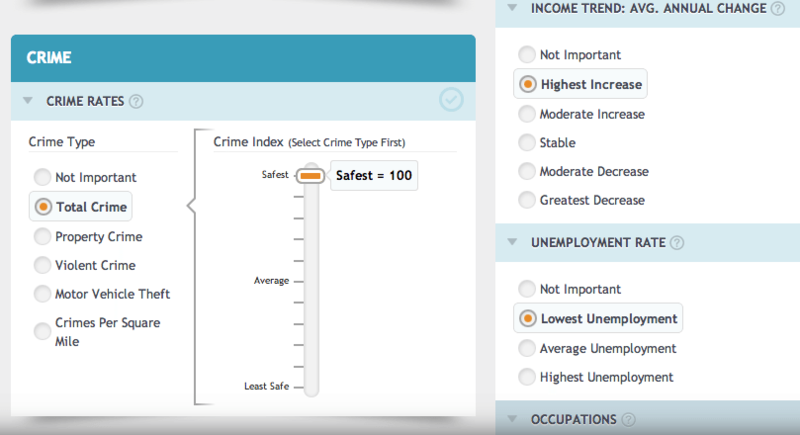 Screen shot showing NeighborhoodScout search tool’s crime, unemployment and income trend settings. 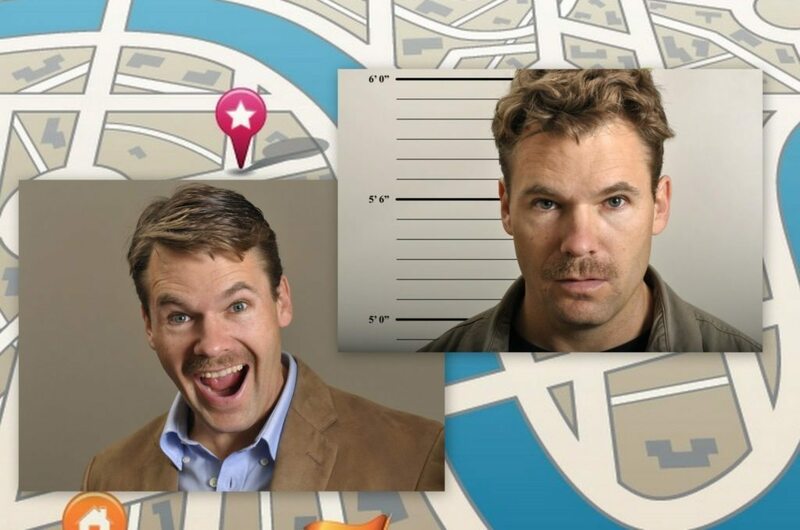 If popular sites overlay a crime-ridden area’s high crime rate onto listings for that neighborhood, for example, they could further tarnish that neighborhood, effectively “redlining it.” NeighborhoodScout is the first site to allow consumers to search for small areas based on crime rates. Schiller said that he believes that negative data will drive down home values in some localities, just as product reviews on Consumer Reports likely chipped away at the value of poorly performing cars. But that could eventually nudge those areas towards improvement — at least the ones located near high-paying jobs, he said. Mixing demographic information with listings could also potentially push the limits of fair housing laws, some industry experts have said. Surfacing data could shine a light on little-known positive attributes of some neighborhoods, he said, prompting buyers who might otherwise have dismissed those neighborhoods to gravitate toward them instead.